It’s no surprise that Steve Sieckhaus, CE’87, MS EMgt’94, and Tom Sieckhaus, CE’88, both became civil engineers — or that both earned degrees at S&T. After all, they’re the sons of Miner and civil engineer Bob Sieckhaus, CE’63. Like the sons he mentored, Bob, who retired from the Murphy Co. after a 40-year career, credits civil engineers with inspiring his passion for the profession. As a 17-year-old Army recruit at Fort Leonard Wood, Bob joined the 18th Engineering Brigade. The Sieckhauses have been making trips from St. Louis to Rolla ever since. All three are members of the Academy of Civil Engineers and return to campus for meetings. 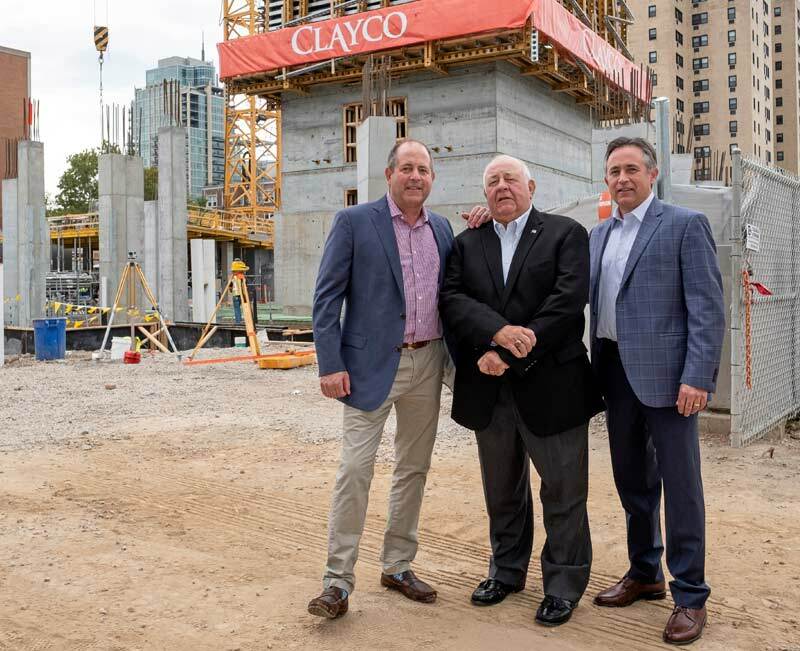 In April 2018, they were recognized by the academy for their philanthropic leadership in supporting a major S&T project, the Clayco Advanced Construction and Materials Laboratory, with a $2 million donation from Clayco. The new lab marks the final phase of a $10.5 million initiative to strengthen S&T’s leadership in infrastructure engineering.